Rev. 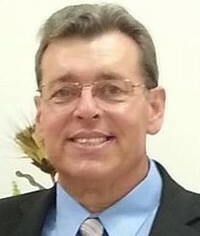 Rick Foreman was born in Dillon, SC in 1958, saved by grace on September 17, 1976 and married Marie on December 4, 1977. They have three adult children who reside in Bennettsville, SC and Manassas Park, VA. He retired from the US Navy in August of 1994 and surrendered to the call of pastoral ministry in 1999. He was educated at Central Texas College, 1992 and earned a diploma in Biblical Studies from Liberty University, 2007. He served as pastor of Bruton’s Fork Baptist Church, Bennettsville, SC for 13 years and was called as pastor of West Lumberton Baptist Church, Lumberton, NC in April of 2014. The primary purpose of the church is to grow together in worship toward God and service to God. We are to love one another before God and live in such a way, that others may come to know Jesus Christ, as Lord and Savior. We are to be united in our heart and mind for the sole purpose of serving Jesus Christ. My role as a pastor is to equip the Church for the work of the ministry. I am to fulfill that role as both pastor and teacher. I am to lead by example so others may see me honor Jesus with my life, to help all Christians grow toward spiritual maturity in the faith and use the gifts that He has given them. I’m not only to preach the gospel, but expound the scriptures in such a way to teach God’s people how to apply it in their lives. I am to love, to encourage and even correct the brethren that we all may live for Jesus in this lost and dark world. The life goal for every believer is summed up in Matthew 5:16, “Let your light so shine before men, that they may see your good works and glorify your Father in heaven.” When our light shines, we fulfill the “Great Commission” in reaching others by letting them see Jesus in us.